Finding and buying the right company is the prime objective of your search, yet it is often the seller who is essential to your success. Working with an unsuitable seller can drain your most precious search commodity, your own time! When you select correctly, you improve the odds of successfully overcoming any significant issues that arise during negotiations and due diligence. Each seller is unique. Evaluating a business owner must go far beyond the obvious – that the seller is a baby boomer, with no succession plans, just waiting for a searcher to come along and cash them out. The skillful searcher will go deeper – understanding the sellers’ motivations, experience, hopes and fears, and where they are in their lives. Fully engaged owners generally make a better businesses but not necessarily a better sellers. “Great” businesses often revert to just “good” when the owner begins to neglect it. Stepping away from customer contact, key decisions about new capital and hiring and firing decisions are all signs of the seller becoming worn out or losing interest in the business. These are signs that the seller has already become more distant and is more willing to move on. Find out if the seller takes an active role in setting product or service prices. In many instances buyers underestimate the capability of the seller to extract higher margins through his or her personal engagement, perhaps making it more difficult to sustain those higher margins. Conversely, a seller who is not personally involved in setting prices for the business may indicate some upside potential to improve margins after you step in to run the business. Discover whether the owner has made recent and significant investments, such as in capital equipment, marketing or product development. These sellers may expect a higher value for the business then historical data would indicate. The emotion attached to recent investments may cloud the seller’s valuation viewpoint, making it difficult to get to a reasonable price. On the other hand, a lack of recent investment by the seller, if not too drastic, may point to post-close improvement opportunities. However, too much neglect, may require a turnaround to survive – not in the skill-set of most searchers. Look at how the seller managed the business through the last downturn. Understanding how the owner was able to successfully maintain profitability during a downturn may help gauge the stability of the business looking forward. If it takes special knowledge or years of experience, you may not be able to replicate such success when you take over the business. Too much engagement may be a bad thing! It may be too emotionally difficult for the owner to detach from the details, supporting customers and the thrill of the business. This may lead to second thoughts about selling, especially at the last minute. Watch for the signs of not wanting to let go. You must get to “no” fast and move on, and avoid moving down the path with an owner who decides “now is just not the right time” and removes their business from the market! 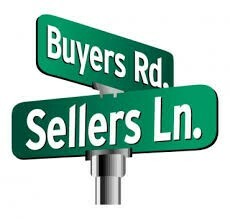 Sellers sourced through brokers have the greatest chance to get to closing. These sellers have likely crossed the emotional barrier of deciding to sell their businesses and are therefore committed to a sale process that includes open dialog with buyers. Even sellers who are going through the sale process a second time are strong candidates, regardless of whether they are represented by brokers. In fact, on the “second time around” these owners often are even better prospects because they are “more than ready” to sell. An open-ended question to the seller such as “Have you considered selling the business sometime in the past, and if so, how did that turn out?” will tease this out. To mitigate this risk, have regular dialog with the seller to get a sense of how he or she is feeling about leaving their business behind. Watch for the subtle signs, apart from negotiation posturing, that the seller realizes he or she doesn’t have to sell now, or that a spouse is worried about life post-sale, or you have re-kindled a desire to take the business to the next level without you! You may even find a seller who feels they are “just one new customer away from the jackpot”, as happened to Jake Nicholson at Danville Capital when the seller closed on a large contract within 30 days of closing. A seller who has been running the business for less than 10 years may feel resistance to leaving. Younger sellers have the option to stay put; they may get more cash by waiting to sell. However, a business owner who has been with the business more than 20 years is generally more eager to take chips off the table. Older owners, 55 years or more, often begin to develop future plans. Perhaps they have recently become empty nesters and are considering traveling more. Some may be experiencing health issues and realize that now is the time to disengage. Many don’t have an exit plan until some significant event happens in their lives or in the business that cause them to pause and reconsider the future. Gauging how important the financial payout is to the seller will be important in understanding whether the owner is solely focused on the price you offer to pay or has other objectives in mind. Determining whether the seller has a healthy nest egg to cover retirement is important when it comes to the price negotiations. The seller’s current lifestyle costs may indicate how dependent the seller is on the cash flow from the business. The number of homes, cars, boats, lengthy vacations, expensive hobbies, exclusive club memberships are all indicators of this dependency. Sellers who leave the day after closing, move to South America, and are available only by carrier pigeon are almost as challenging as owners who insist on staying with the business after exit. You need them. While many owners start off saying they will want to be supportive, helpful and even working full time after the sale, in reality, despite best intentions, most former owners leave or disengage by the end of the first year. Listen for consistent answers as to why they are selling and their specific plans after exit. If they don’t have a good reason to sell to you at this time, there is a high chance they won’t close or string you along. When the seller has successively different answers to this question, be wary that he or she may have a change of heart about selling. It is important to be empathetic about how much of a change this is for the seller who has been used to running their business, dealing with customers and employees, and comfortable with their business processes. Selling their business is something brand new for them. It takes a long time and is a complex process with lots of twists, turns and uncertainties. Preparing materials for endless requests during diligence can be frustrating. The protracted hours wrangling over issues in the legal and tax documents will also put them out of their comfort zone. Watching for the signals of frustration and addressing them with owners will help smooth out their emotions along the way. Many sellers have not given much thought to developing their organizations’ “bench strength” and view the searcher as their answer to stepping away from the business with minimal disruption. However, when there is a designated successor, you can expect problems in the IOI phase if the seller wants you take special care of these hand-picked key individuals. Depending on how much influence the successor may have on the owner, this could derail your process. Be particularly watchful of family members. Often, when 2 or more siblings share ownership, these situations are particularly difficult and time-consuming, perhaps prohibitively so for the searcher. Family members may have disparate valuations in mind, separate plans for the future or a strong unwillingness to be cut-off from their regular payments, especially if they are not pulling their full weight. Unless they have received good advice on these issues from a family business advisor, such confusion will add time to negotiations, time the searcher can ill afford. Children in the business are a special complicating factor. Despite what a parent seller may say, oftentimes the exit discussion may come as a surprise to the child. Additionally, there may be issues among siblings. Stressing to the seller the importance of having these discussions early in the IOI process will avoid last minute time-consuming delays or hang-ups to sort out these family issues. A complicating factor in any transaction occurs if the majority owner has several minority shareholders, especially if they are current or ex-employees. Unlike a strategic or financial buyer, a searcher’s timeline cannot afford to wait while all these stakeholders are communicated with, aligned, and brought into agreement with the majority owner. Some equity holders may want to stay on, which is generally a bad idea, since you want to start with a clean and unencumbered state of affairs after closing. Hold your own equity dear to your heart, as you have earned it. Monetary commitments in the form of employment contracts for specific lengths of employment time, defined severance and/or bonus opportunity are always much better than awarding equity at closing. On occasion, the seller may express interest in “rolling over” equity into the new entity. At the time of the IOI/LOI, this often sounds appealing to gain an “alignment” between the seller’s interest and the searcher, especially during the transition period. However, because experience shows that sellers will disengage from the business after exit, be wary of having to “carry” the prior owner, also known as a “PiP” or a Previously Important Person. A PIP can become a burden on the organization, can take an emotional toll on you as the new owner, and in some instances may pressure for an earlier exit than desired. Working with sellers who have had some prior experience in selling a business or acquiring another is generally positive. Their experience will help them clear many of the hurdles you and they will face along the way such as negotiating the IOI, providing information for due diligence, thinking through their future involvement with the business and being firm about why they are selling their business. You don’t want a seller who has not been through this to practice on your short timetable. On the other hand, an owner who has very deep M&A experience may drag his feet to drive the price up or ask for challenging terms. Who will be advising the seller is also be a predictor of successfully getting to closing day. Sellers who select their tax or real estate attorneys who have no prior M&A transaction experience may feel safe with their selection, but that choice may inhibit the process. Early on in discussions, it makes sense to prompt the seller to retain strong tax advice, identify a lawyer with prior M&A experience and seek out the advice of others who have been through this before. Understanding these influences during the process can help overcome obstacles. A very strong legal advisor to the seller who has a history of litigation, may cause your deal to crater during the final negotiations around the P&S and other legal documents. Determine the business’s history of litigation. . In many instances owners that have spent a lot of time with legal wrangling during their business may bring the same level of legal intensity to the transaction you’re about to embark on, slowing down the process. You want to avoid sellers with a long history of lawsuits and legal problems. Often times, other outside advisors get in the way of your discussions. A brother-in-law who practices regulatory law in Washington DC will often have opinions, but no real understanding common practices for a transaction. A local accountant may be more concerned about their future fees than helping the seller look objectively at your offer. Coaching the seller to avoid this may head-off these challenges. In parallel with understanding the business in depth, learn about the seller. The more you know about him or her, the more able you will be to navigate through the phases of making your offer, getting through due diligence, closing the transaction and running the business. Discovering characteristics of the seller takes time and listening skills; you may need to patiently hear their same stories over and over again. It is critical that you manage the sellers expectations during the process – keeping an open dialog will build the owner’s trust in you advice. An active seller with a number of hobbies outside of the business is a good sign. He or she will have something to do once the business is sold and won’t spend time thinking about not coming to work every day. Understand how involved the seller is with the community. Active engagement in the community is a good characteristic to find, as it indicates the seller’s desire for the sale to be beneficial for the community, strengthening their affinity to a searcher as the buyer. Rather than rely on a subjective feeling about the business owner you are in dialog with, it may be useful to categorize him or her across a range of characteristics and then give each a weighted score to help predict the probability of getting to closing. Establishing 20 or so attributes with a 1-5 scale in a spreadsheet brings objectivity to the process and has proved useful to many searchers as they evaluate not just the business model, markets, competition and financial results but also the sellers themselves. Applying your own judgement and relative ranking is important in this analysis. As you go through the process, you should be developing an intuitive understanding of the seller. Pattern recognition helps here. The more interactions you have, the better you will get at shutting off discussions with sellers who have a low probability of getting across the finish line with you. You just don’t have time to “help” the owner see that now is the best time to sell to you; learn to get to “No” fast and devote your time to other more qualified sellers. Feel free to share some of your own best practices or experiences in dealing with these issues at the blog comments. I encourage comments from readers and dialog about the topics which allows others to see the commentary and learn both from my views and the views of others; a virtuous learning cycle. Jump right in! In a proprietary search, would you advise the seller to get a m&a lawyer or accountant, and if so when? Particularly if it’s a new seller who has never been down the path before. Raj, perceptive question. Indeed, I recommend that as soon as possible that the seller be encouraged to line up their support team. Be sure to do some coaching about not selecting their divorce lawyer or family acquaintance. Tax accountant is sufficient, they probably have a good relationship with their accountant. This may feel scary, since you may “lose them”, but better to “get to no fast” and move on if the “experts” slow down the negotiations. Unlike financial statements, getting these advisors in place should not stop your process. Thanks! I figured it would be the right thing to do. I just wouldn’t want advisors to screw up a good thing (for both parties), but I do think they have value. I agree that if I am going to lose them, I’d prefer it be early rather than later in order to protect my two biggest assets (time & $). I will advise them after the LOI is signed that they will likely want to begin to find a tax accountant and support and will suggest making sure it’s a professional that is well versed in the M&A space and their business so we can maximize efficiency. Thanks Jim! P.S. – Your and Mike Smerklo’s blog posts http://www.mikesmerklo.com/ are very helpful for searchers. Raj, I would give them the advice earlier, during the IOI cycles. Don’t let them waste valuable time during the LOI to get up to speed with their advisors. Every day that goes by after signing the LOI and closing lowers the chance of getting to closing!